Staying Powered Out On The Water! 1 – ZMan 3pk of CrawdadZ in Green Pumpkin/Orange Claw – available on the ZMan website for $5.49 for a 6-pk (prorated to $2.75 for a 3-pk). 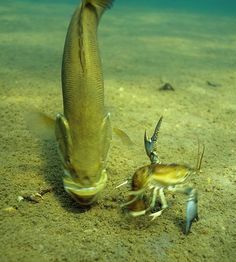 These crawdads say fall smallmouth all over them! They have a nice, compact profile in natural colors that will do well in colder water for smallies. Texas rigged and thrown over rocky points is where these soft plastics will excel. 2 – Whiskey River Bait Company 4-pk of 6″ Whiptails in Green Pumpkin – available on the Whiskey River Bait Company’s website for $3.49 for a 10-pk (prorated to $1.40 for a 4-pk). 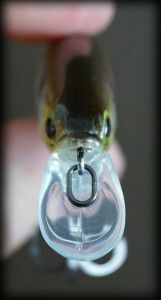 The Whiptail makes an interesting drop shot bait, shakey head or even a swim bait trailer. This long-tailed plastic can be thrown in finesse conditions and the elongated thin tail will produce a lot of action with very subtle vibration on a drop shot. 3 – Top Baits 3-pk of Beaver Craws in Watermelon Seed – available on the TopBaits.com website for US$3.99 for a 5-pk (pro-rated to $2.40 for a 3-pk). A very nice beaver plastic. The beaver has been proven for pitching and flipping anywhere bass hang out. 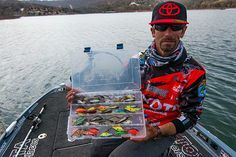 These baits have a strong licorice smell that is impregnated into the bait. The ridges and large over-sized claws are bound to attract curious bass. 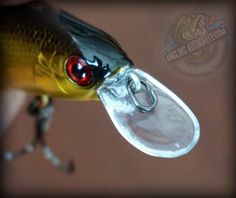 4 – Fishbelly Helix Ninja 3/8-oz buzz bait in Red Storm – available on Tacklewarehouse.com for $11.99. This is a very good addition to the Tacklegrab box for this month. The 3/8-oz weight is ideal for this time of the year and, thrown around cover, buzz baits can catch some big bass. This black and red bait would be great for overcast days where a storm seems eminent. Throw this in extremely low light in the fall; strikes will be fewer, but the size of the bass will be big! 5 – Freedom Tackle 2-pack of 3/4-0z Hybrid jigs, available on Tacklewarehouse.com for $6.99. The jig model we received was the Rogue. This football headed jig is quite heavy at 3/4-oz and will do really well when thrown among rock piles and gravel beds. The innovation of Freedom Tackle’s jigs is what makes this bait most interesting. With an articulated hook, 300-lb stainless steel thru-wire construction and interchangeable hooks, Tackle Grab subscribers get to try a really cool bait! Total box value =US $25.53 + 150 Tackle Grab points. October’s Tacklegrab box was packed with lots of fish catching goodies! We received notification that the November Tackle Grab box has shipped, so stay tuned for that update in a few weeks! 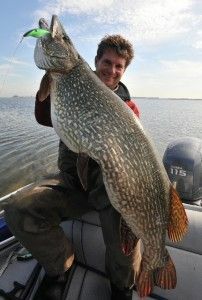 Grant is the Founder of AnglingAuthority.com. While he primarily fishes for large mouth and small mouth bass, he’s passionate about sport fishing in general. Learning about new tactics, gear, species and conditions is all part of what makes the sport challenging and enjoyable. Grant also loves to travel, particularly to prime fishing destinations. 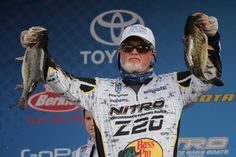 Grant participates in regional tournaments and is a proud member of State Apparel and Gambler Lures’ Am Pro Staff, Canadian Bass Anglers Federation and Ontario Federation of Anglers & Hunters.